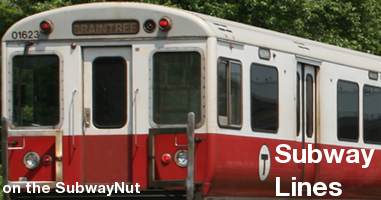 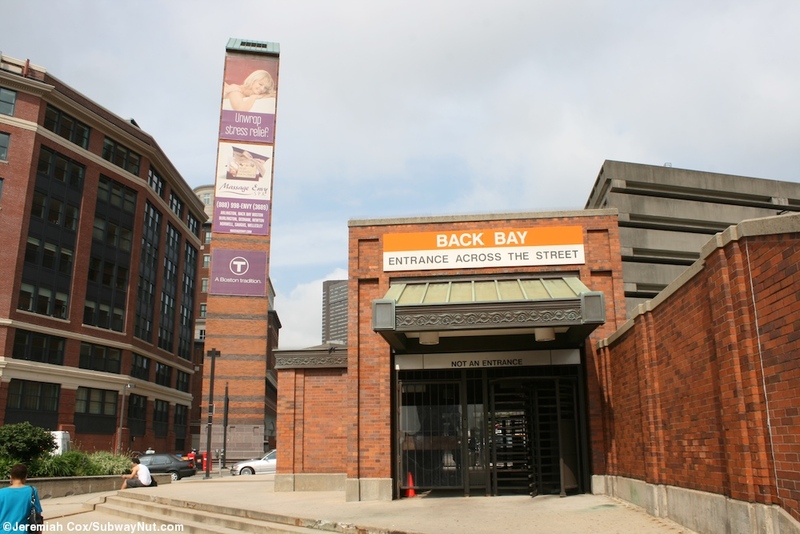 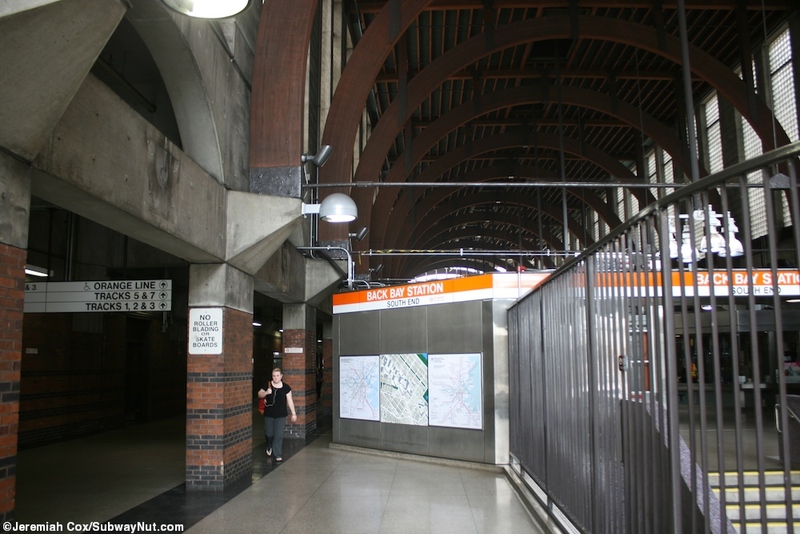 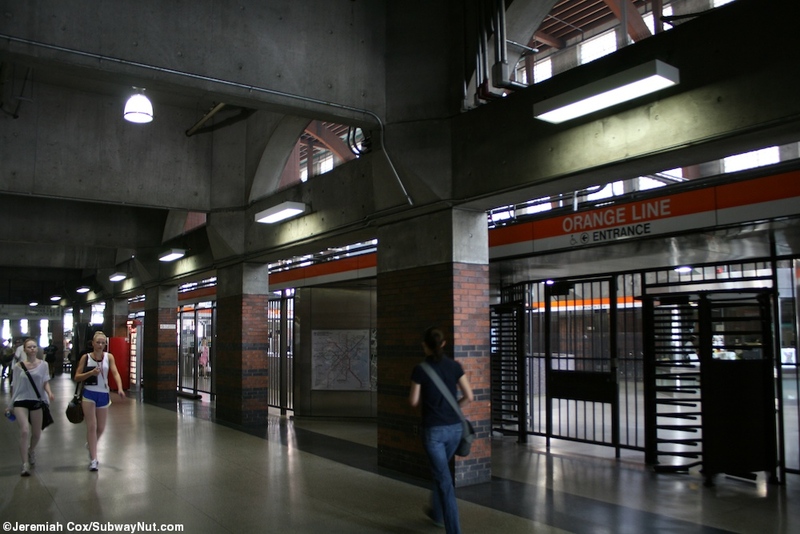 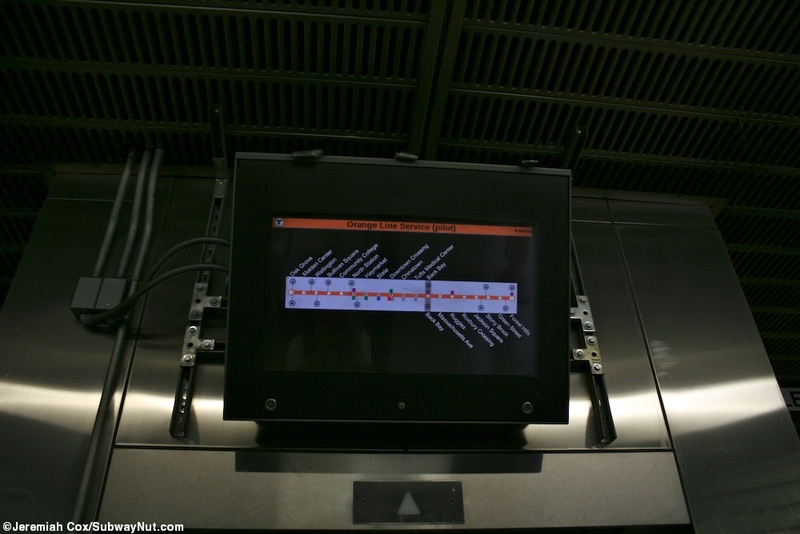 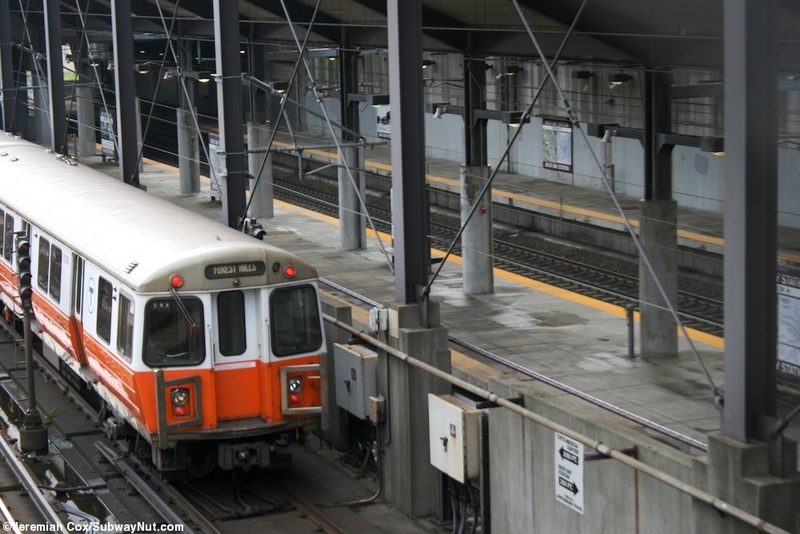 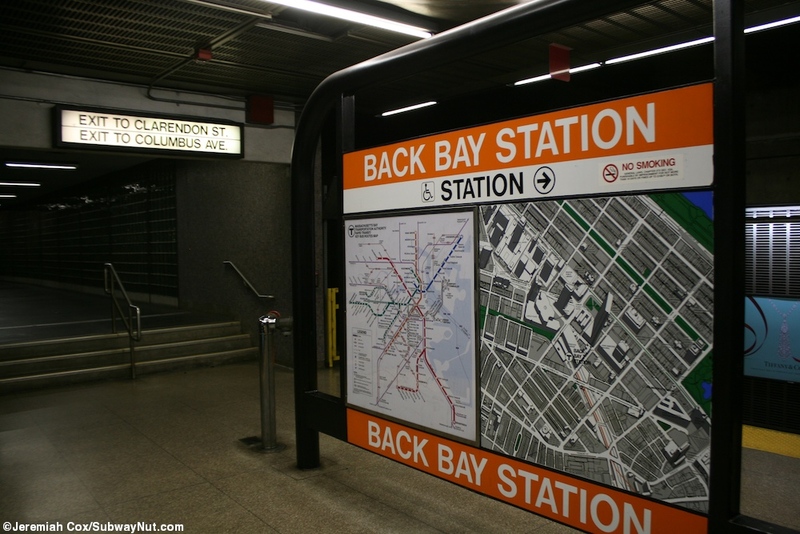 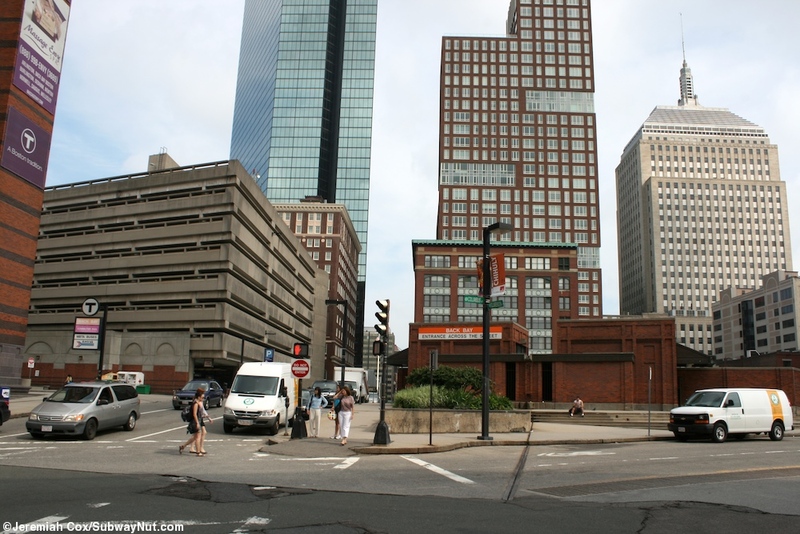 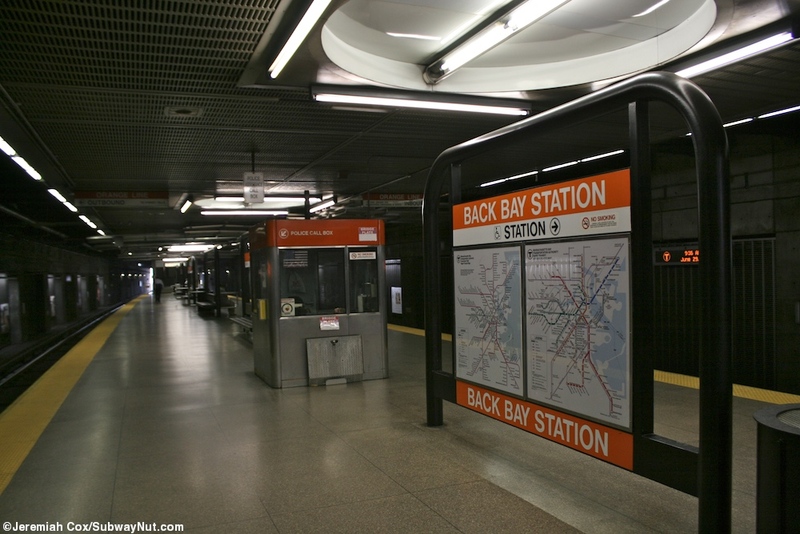 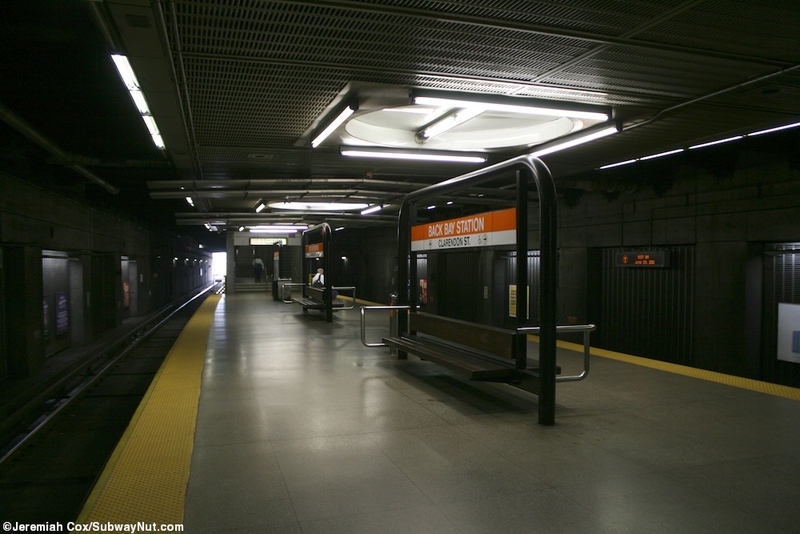 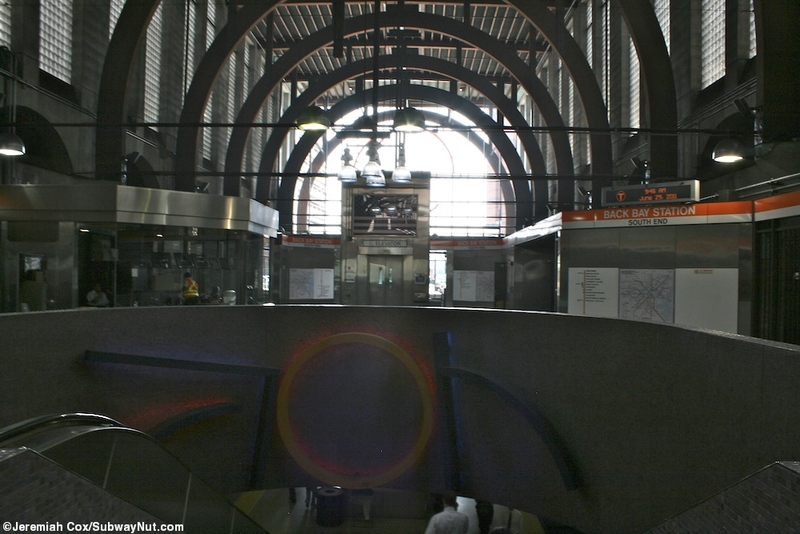 Boston Back Bay is the most northern station in the portion of the Orange Line that follows the Northeast Corridor and resulted from a line reroute in 1987 by closing the Washington Street elevated. 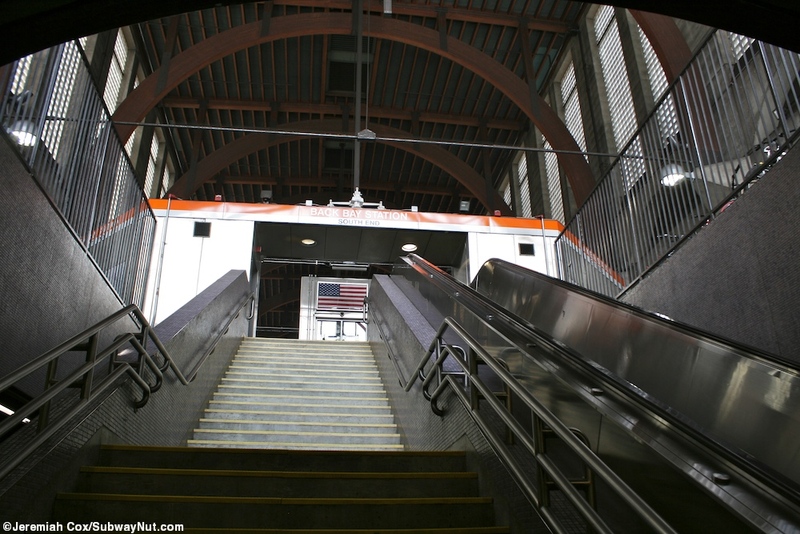 A New Haven Railroad Station existed on the site before, and the main exit with two separate staircase/escalators and elevators leads up to the center of the main central hall of the train station served by Commuter Rail and Amtrak of the same name. 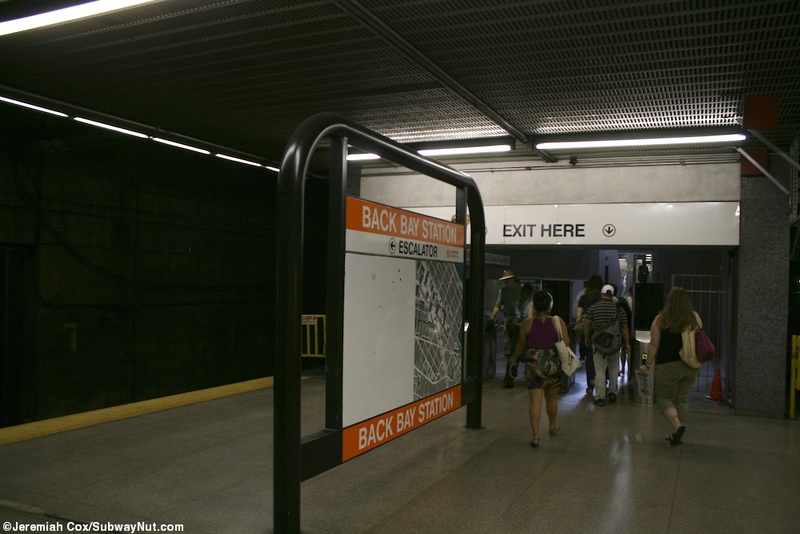 There is a main bank of faregates closest to the main train ticket windows and waiting area with a few High Exit Turnstiles for additional exit points. 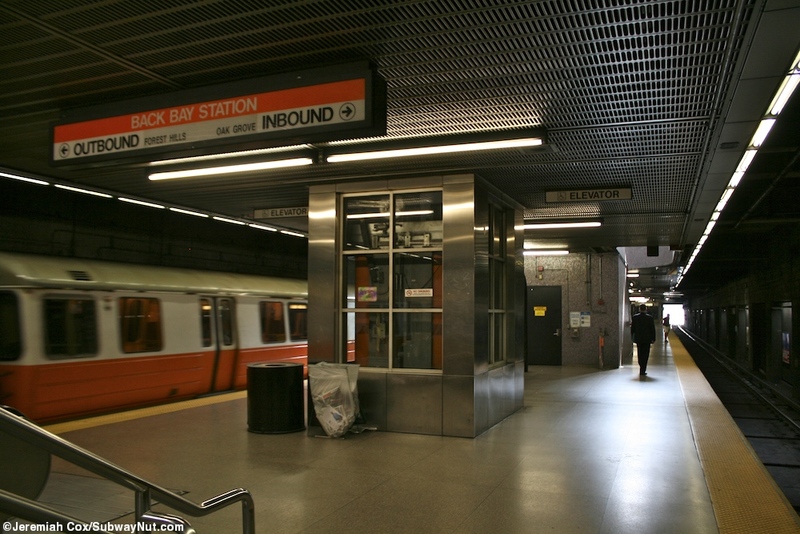 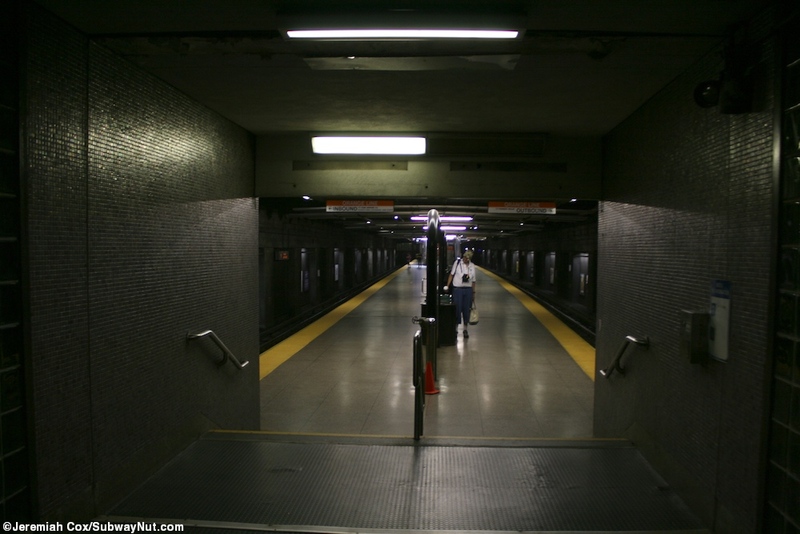 The stop has additional faregates directly on the southern end of the platform that leads to an underpass beneath Dartmouth Street and an entrance inside a building. 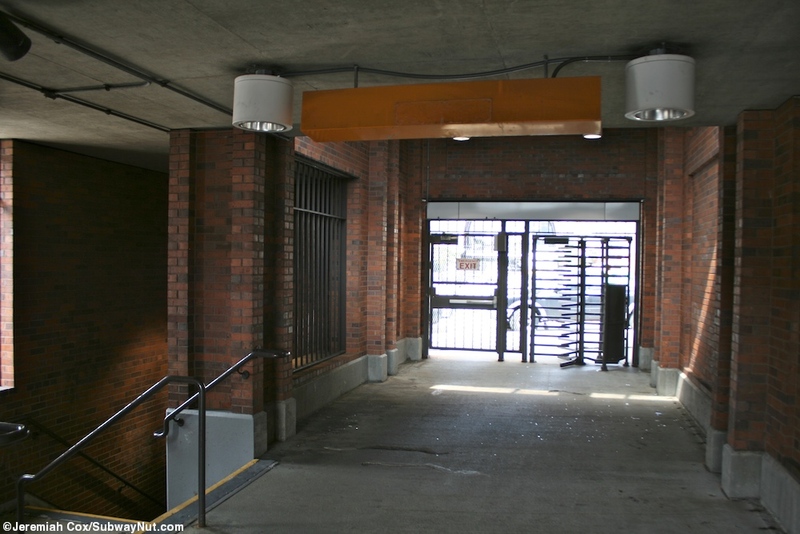 The northern end of the station has an extremely unusual entrance where staircases lead up to a small and old fashioned brick building at street level with high turnstiles out to the north corner of Claredon Street and Columbus Av.